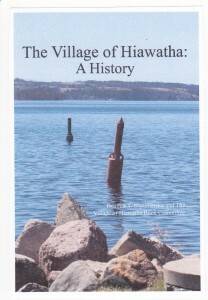 Hiawatha’s New History Book is now available. In 1818, our people surrendered a large portion of their territory known as New Castle District to the British Government. The Indians could neither read nor write English at this time. In 1823 the first Mission House in Peterborough County was built at Rice Lake. The Mission house (church) was Methodist, with a resident minister. In 1828 an area along the north shore of Rice Lake was officially designated as a reserve under the name of the Mississaugas of Rice Lake Reserve. It had a land base of approximately 1120 acres and a population of 130 adults and 90 children. For many years, the members used the land for farming. If they did not farm the land themselves, the lands were leased to others. At one time this area was known for its abundance of wild rice that grew in Rice Lake. Unfortunately, the building of the Trent-Severn Waterway and the resulting increase of water levels destroyed the wild rice beds. Rice Lake Reserve was established in 1828 consisting of 1120 acres of land. The grant was dated April 19, 1834(this was a title deed). The original survey was in 1855. Forty acres of land at Rice Lake were cleared. The building of 22 houses was completed in September. They are in direct line and equal distance from each other near the banks of the lake. A square for public buildings was left in the middle. The village boasted a store and post-office, a schoolhouse and teacher’s residence. In 1847 Mr. John William Love who came from Smith’s Creek (now Port Hope) was a schoolmaster of the Indians at Rice Lake. In a letter he had written in early 1847 he described the happy time and the preparation and feast for a memorable New Year’s Day. Mr. Love pointed out to the Indians the injustice they were inflicting on their wives and the rising generation, in not bringing their women forward as white men did and to raise their wives to the level that they should occupy in society. Mr. Love wrote that because of this act, the Rice Lake Indians raised themselves to the head of every tribe on any reservation of the province. The railroad was first reported in 1855 and would run between Peterborough and Harwood, crossing the lake at the Reserve. One of the two earliest railway charters came into existence in March 1834, with the authority to construct a “double or single iron or wooden “Rail Road” north of Rice Lake. Samuel Gore built the 11-mile enterprise but the plank roadbed was vulnerable to frost, and after the second winter, was abandoned to build a 30-mile railway in two years, over uncharted terrain. Bridging three miles of water was a formidable task. Lake conditions were underestimated and the original plan to construct a causeway was changed to a bridge. Work commenced in 1853 and was largely completed that year. By November of 1854 the bridge was completed and trains operated from Cobourg to Indian village Hiawatha where Fisher’s stage provided a connection to Peterborough. The first school was at the Mission House, located north west of the present church. Our present church was built in 1870. 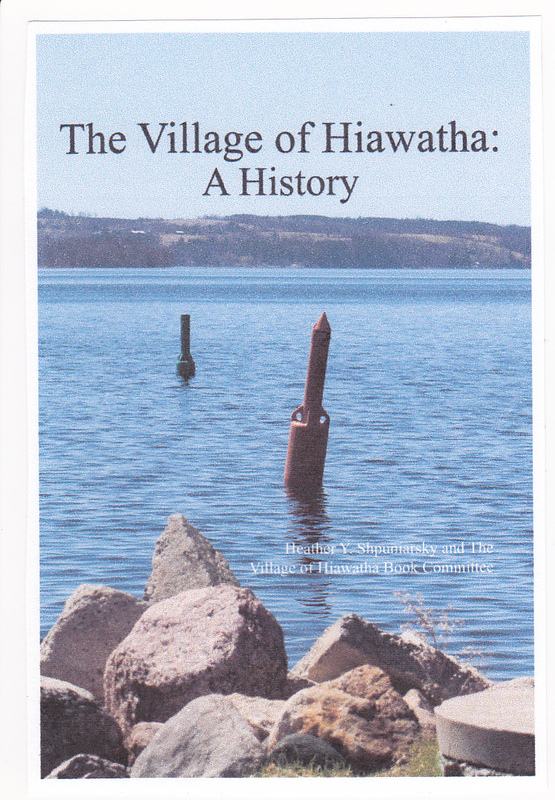 Hiawatha was the first place in Peterborough County to have a mission established. In about 1820, Nathan Baggs, the first Methodist Missionary in Western Ontario, baptized Chief Paudash and most of his band. A short distance west of the mouth of the Indian River, the shoreline of Rice Lake extends into a broad peninsula formed by the east side of Gregor Bay. At the tip of this peninsula is Roche’s Point and Serpent Mounds Park. Here archaeological excavations have turned up evidence of people living in the area about 2000 years ago. Nine mounds or burial places have been located at the south end of the park, one of which is serpentine in form, four to six feet high and nearly two hundred feet long. Total population was 79 Band members. A school was built just east of where the administration building is now. The present school located on the corner of Hiawatha line and Paudash Street was built in 1906. The church changed from Methodist to Hiawatha United. The land surrounding the Serpent Mounds burial site was purchased for protection and conservation. The land surrounding the Serpent Mounds burial site was taken and converted to a Provincial Park. The name of the Mississaugas of Rice Lake Reserve was changed to Hiawatha Reserve. In 1966-67 Hiawatha became self-governing, meaning they no longer fell under the control of an Indian agent – Chief and Council could make some decisions on their own. Hiawatha First Nation Indian Reserve became Hiawatha First Nation. The management of Serpent Mounds Park returned to Hiawatha First Nation.